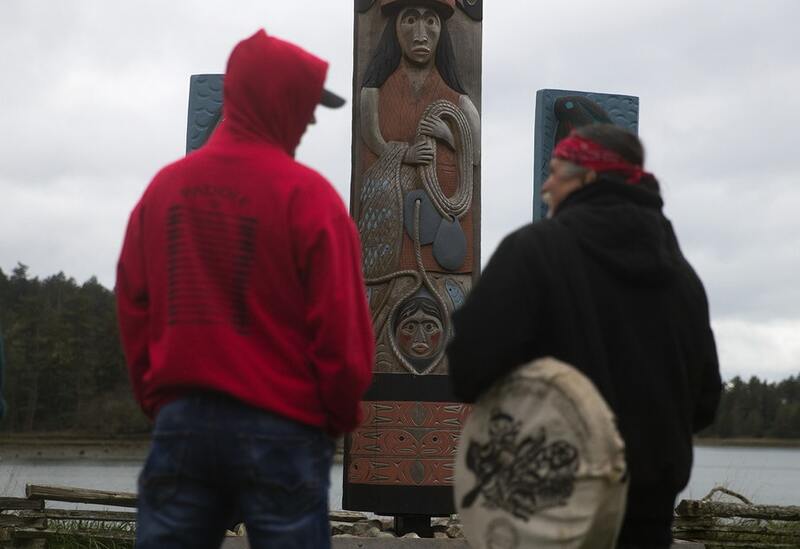 Lummi tribal members released one live chinook salmon into the Salish Sea on Wednesday as a spiritual offering to J17, an orca matriarch who has been ailing. The tribe wants all the southern resident orcas to fare well, but there’s one in particular they are worried about. J17, also known as Princess Angeline, has recently shown signs of emaciation. Scientists say she may not survive the summer. Lawrence Solomon, tribal secretary of the Lummi Nation, led the morning with the Lummi National Anthem.